EDIT after switching to bridged mode, it works fine. Don't use identical ports in the rule (host's port ≠ guest's port) like in your screenshot. user_name has to be the name of a remote access enabled account on the guest OS. Not the answer you're looking for? 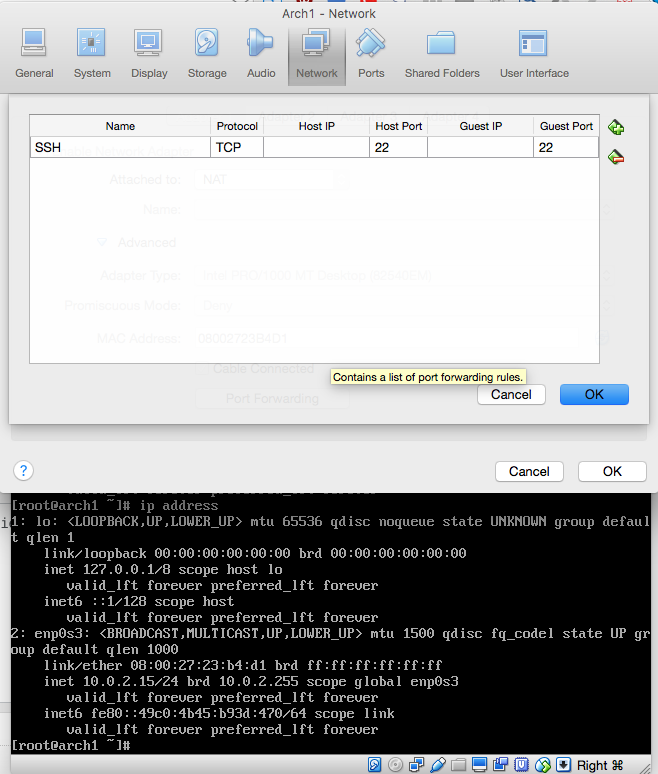 Browse other questions tagged macos network ssh virtualbox .